Being involved in a trucking accident in Philadelphia is an overwhelming experience and one that can position victims to face substantial medical bills and other damages. Understanding the importance of proving fault in a trucking accident lawsuit is crucial for a victim who is navigating this personal injury claim with the support of a Philadelphia truck accident lawyer. The economy has been improving, which means that more truck drivers are on the roads transporting materials across the country. The downside of this is that the trucking industry also has a major shortage in drivers. Truckers today are pressured to meet deadlines or take on as much work as possible, and plenty of drivers are new to operating huge commercial vehicles. Both of these can increase the risk of trucker accidents. In the wake of a Philadelphia trucking accident, the trucking company or their insurance carrier will likely dispatch an accident response team. Due to the severe injuries and high volumes of property damage that can be created by a single trucking accident, these insurance companies do everything in their power to dispatch accident investigators to the scene of the incident for the purpose of investigating the facts of the accident, interview witnesses, interact with the police and to deploy accident reconstruction experts. These trucking accident response teams are designed to gather as much information as possible that could help defend a potential claim. As a victim it is important to gather evidence of your own and present it to your Philadelphia trucking accident lawyer. As a car accident victim you may be so critically injured that you will be taken immediately to the hospital for treatment after a trucking crash. This makes it difficult to collect the evidence you need to determine who could be held liable for the accident. This evidence should be collected and given to your Philadelphia trucking accident lawyer immediately. Some of this evidence can only be obtained by your attorney. In many cases, the trucking accident attorney will need to send a preservation of evidence letter to the trucking company before it is too late to obtain the evidence requested. Your trucking accident attorney should have a strong record of representing people who were injured by another person’s negligence. Insurance defense firms exist across Pennsylvania and the country that focus exclusively on helping trucking insurance companies fight wrongful death and personal injury claims. The injured victim in a Philadelphia trucking accident lawsuit has the burden of proving their case and therefore, must do everything in his or her power to collect evidence or possibly even use accident reconstruction experts to retell how the incident occurred. The trucking accident might be followed by an immediate use of the rapid deployment force or rapid response team. This is an industry term for a service that insurance defense law firms provide directly to trucking insurance companies. This usually involves attorneys, area photographers and accident scene investigators. As soon as a trucking company is made aware of an incident through the driver, it will contact their insurance company whose law firm will use a rapid response team that is usually on site within an hour. These teams are not there for your best interests. Instead they are there to work on behalf of the trucking companies and the insurance carrier to get as much information as possible that could be used in their defense. If you have catastrophic injuries, you can expect that the other side in the case will ask for copies of your medical records. Beware giving a blanket release for this insurance carrier to view all your records across history. In many cases, these insurance companies will be looking for past evidence of a similar injury and will instead argue that got hurt in some other way before the accident. It might seem unbelievable that your own medical records can be used against you, but this is an area in which the insurance companies are counting on your lack of experience with injury claims. When any release is brought to you by the insurance carrier, ask your Philadelphia trucking accident lawyer to review it. Once a release is signed, your claim is forever over. 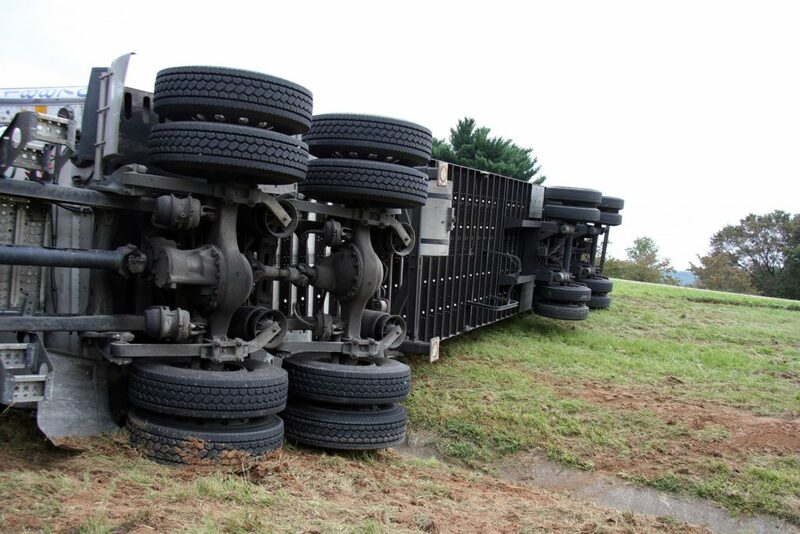 How Do We Determine Liability in a PA Trucking Accident? You might not remember the accident. If you blacked out before being hit or were rushed off the scene in an ambulance, relying on your own words to tell the story of how the accident happened might be impossible. If you were severely injured, you might still be in the hospital at the time you hire a lawyer, making it difficult for you to go about collecting these materials on your own. It is often the case that more than one party is responsible for some portion of the accident. This immediately complicates your legal case. Now, multiple defendants might argue that the finger has wrongly been pointed at them. You both need to have an attorney at your side to gather evidence to decide who should be named in the lawsuit and be prepared if any of these parties argue they should not be held accountable. In this potential blame game, being organized and working with a Philadelphia trucking accident lawyer who is used to managed complex claims can make a world of difference. Analyzing the trucks ECM data. With multiple parties potentially responsible for your injuries, your Philadelphia trucking accident lawyer will work to gather evidence that supports each of these claims. As the victim, it can seem overwhelming to realize that it falls on you to pull these arguments together and make a compelling claim in court. As an individual, however, this is not your job. Your Philly truck crash attorney is the one who reviews all the evidence and decides the strategy most applicable to your individual case. Even if you think the facts of the case are straightforward, it’s not always easy to present proof that a truck driver was not paying attention or speeding at the time of the accident. These are both leading causes of trucking accidents, so you need a Philadelphia trucking accident lawyer who is on hand to help you evaluate all possible accident causes. Do I Need My Own Philadelphia Trucking Accident Lawyer? You should be prepared for the fact that trucking companies often have established teams of rapid response forces and regularly fight these kinds of lawsuits. This means that you must empower and equip yourself with your own response team in the form of a Philadelphia trucking accident lawyer. The best way to stand up to the insurance carrier and share your intention to fight for full and fair compensation is to retain your own lawyer. Hiring a Philadelphia truck accident lawyer who has a track record of success in this field shows the other side that you are serious and might encourage them to make a settlement offer. Your Philadelphia truck accident lawyer should be prepared to move as quickly as possible to secure the necessary evidence to tell your version of the story. You need investigations completed on your own behalf with the help of experienced experts. A knowledgeable Philadelphia truck accident lawyer is the first person you should contact after you have been critically injured in an accident. Our office is known throughout the region for representing the best interests of victims. We take your case seriously because we know how much it matters to your future. Entrust your claim to attorneys who know what it means to stand up for victim’s rights. Contact our Philadelphia trucking accident law office today for a free consultation.